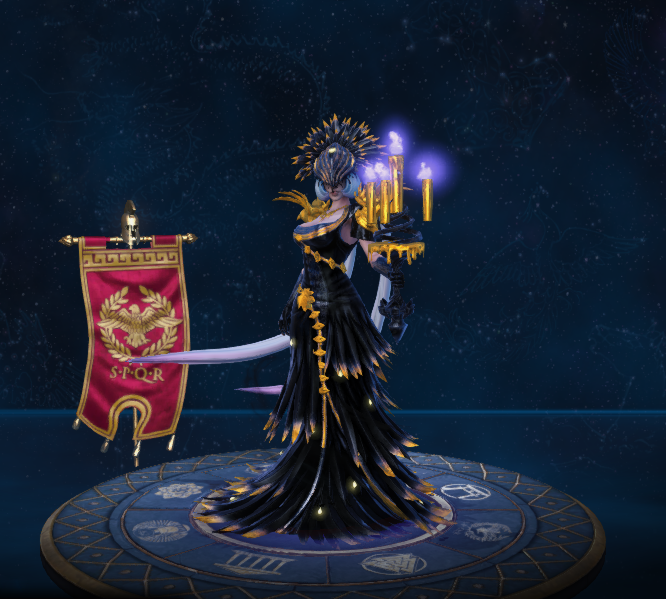 Nox is one of the playable Gods in SMITE. So fragile is the line between sleep and death, the difference only waking with the dawn. In that darkness she reigns, as the sun sinks below the horizon, as stalkers hunt their prey, as shadows thicken to consume the light. She is primal in a way that even the mightiest of Gods must fear, for she is the Goddess of Night, Nox, and from her was born all the certainties of life. Friendship and Love, Sunsets and Dreams, these are the Gods of inspiration. Nox is mother to them all. So too is she the mother of misfortune: Doom and Blame, Deceit, Strife, Woe and Death. Nox must love and protect all her children equally, as any mother would. They are her calling and her curse; her greatest pride and deepest shame. It is for her children she has now come to war. Clothed not in black, but blackness, Nox is rarely seen. She glides between the light, just at the edge of vision. A specter. Even the God of Thunder is known to fear her, for Nox could steal his whispered breath and send him to a sleep eternal where dreams do not exist and no one ever wakes with the dawn. Stacks up to 4 times for a total of 12% bonus Magical Power. It isn't affected by crowd control reduction. Nox can move around while channeling, but she'll keep facing her target for the duration. Instant cast relics can be used without interrupting it. Can deal up to 120/160/200/240/280 (+80% of your magical power) damage. Nox can stay in an ally's shadow for up to 8s. If Nox enters an ally's shadow who then flies into the air, she will be unable to exit until they land, even after 8s. It will also explode on contact with terrain and player made walls. Deals a total of 300/375/450/525/600 (+100% of your magical power) damage. 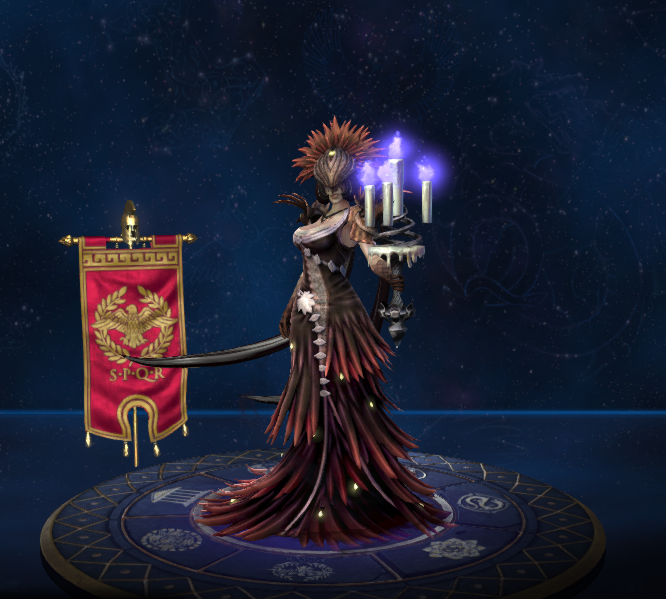 Nox is the mother of Nemesis and Thanatos. Nox received an overhaul of her abilities with SMITE Version 2.8.2806. For more information about the old kit, see Nox#Replaced abilities. There is an announcer pack themed after Nox, given as a reward for gathering 5,000 Fantasy Points for the Season Ticket 2015. You can listen to it here: Nox Announcer pack. One of Nox's jokes, "Who turned out the lights? Oh... yes, that was me! ", is possibly a reference to the British sci-fi TV series, Doctor Who. One of Nox's jokes, "I am the night! ", is a reference to one of Batman's most popular lines. The actress who voiced Nox, Laura Post, also voiced Bellona. Several of Madame Darkness Nox's lines are references to quotes made by the character Marie Laveau from American Horror Story: Coven. 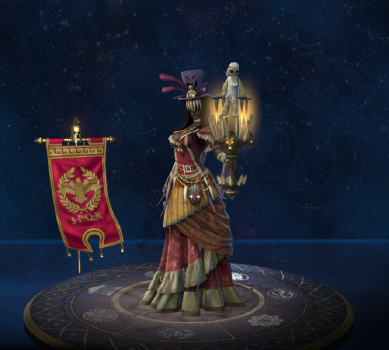 This skin shares it's theme with Baroness Izanami. This skin is based on a Southern belle. The white rabbit in this skin's card art could be a reference to the White Rabbit from book Alice's Adventures in Wonderland. This skin share it's theme with Feaster Bunny Bakasura, Chaacolate Chaac and Playful Bunny Nu Wa. 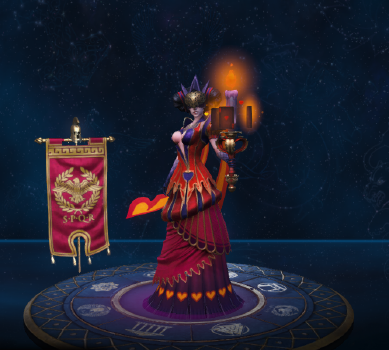 This skin is a reference to the Queen of Hearts from Alice's Adventures in Wonderland. This skin is based on the Statue of Liberty. 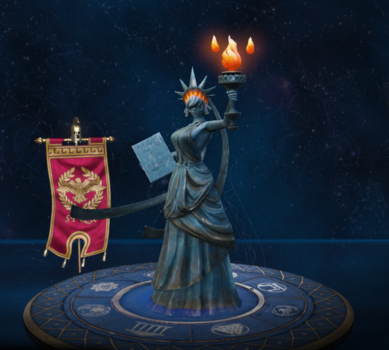 This skin shares it's theme with Ra'merica Ra, Uncle Zeus Zeus. This skin shares it's theme with DJ Ohm Ganesha, BA5S Drop Janus, Basscannon Neith, Ravin' Ravana and Heaven's Rave Zeus. 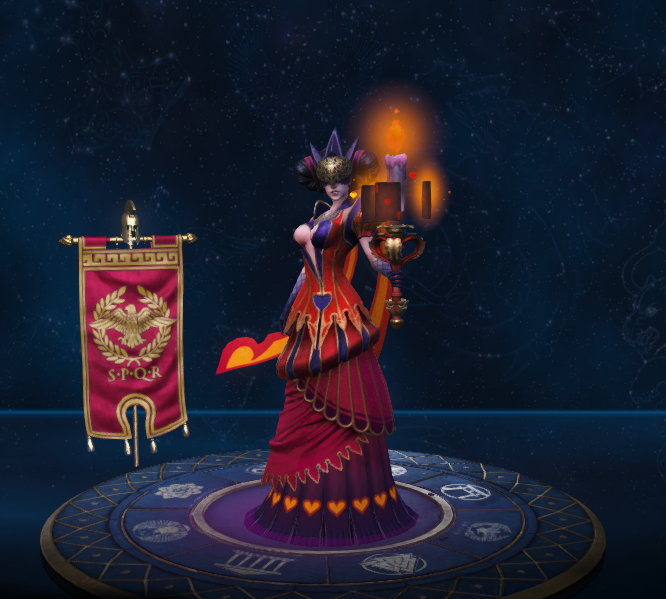 Being part of this set of skins means it has a [VXG] comand that will play along with other skins of the same set. 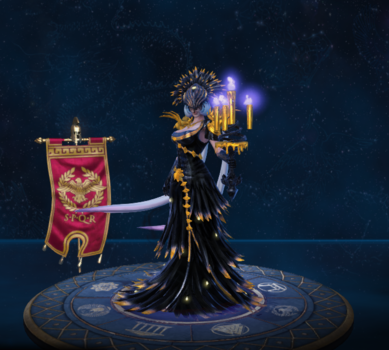 This is one of the only Nox's skins to have a light motif. This skin shares it's theme with Righteous Hammer Chaac, Griffindwarf Fafnir, Dragon's Light Sobek. One of Grim Shadow Nox's lines, "It's quite alright, I've grown tired of living. ", is a reference to the American sitcom, Family Guy. 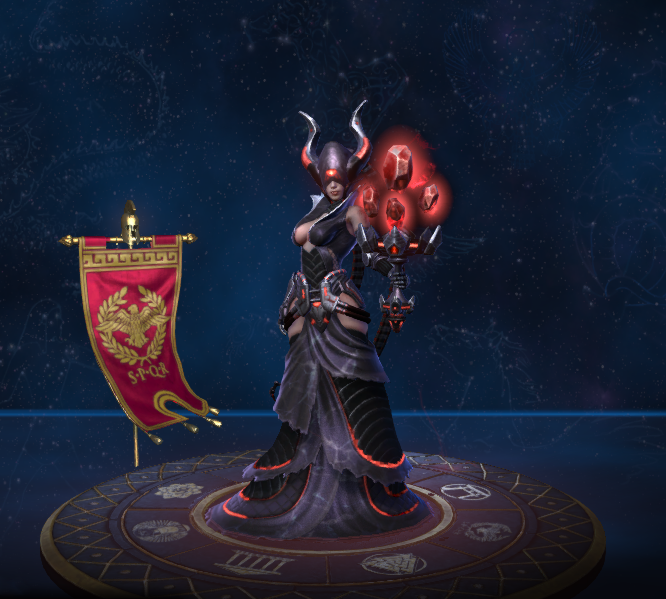 This skin shares it's theme with Grim Weaver Arachne, Grim Horseman Guan Yu, Grim Wraith Hades and Grim Eclipse Hou Yi. 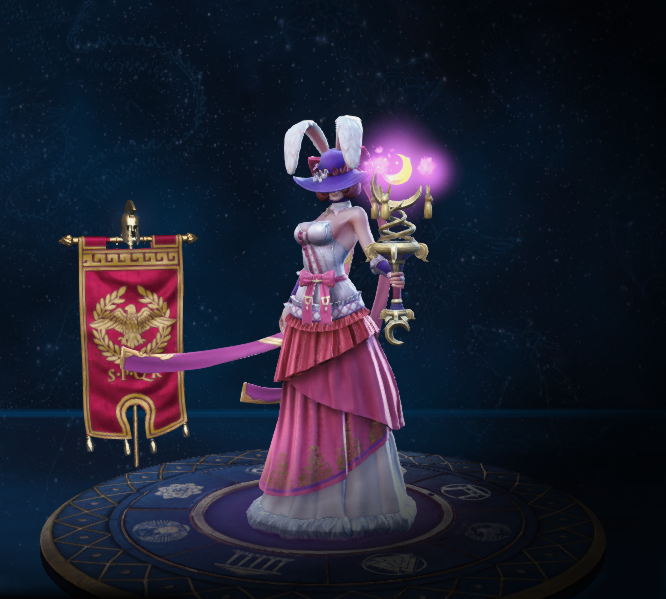 This skin could only be obtained by accumulating 105 Odyssey points in the Hera's Odyssey event. This skin could only be obtained by unlocking 6 or more items from the Escape from the Underworld event. Now explode radius slides along line targeter if blocked. Decreased Cooldown from 90s at all ranks → 90/85/80/75/70s. Nox now has a new taunt animation. Fixed Nox having an issue grabbing Athena after Athena ults her. Decreased cooldown from 15s → 13s. Increased magic power scaling from +40% → +70%. Damage Reduction increased from 30% → 40%. Increased magical power scaling from +60% → +75%. This ability now Cripples, in addition to Roots. Nox cannot be pulled from Khepri after she's used Shadow Lock on a target. Fixed an issue with Nox's shadowstep where ejecting from an ally executed by Ao Kuang could cause her to get stuck on top of terrain. Fixed targets displaying incorrectly at Low Shader Settings. Fixed an issue where Nox could cast this ability twice. You can now use instant cast active items while channeling this ability, without interruption. This ability is no longer affected by Crowd Control Reduction, as long as Nox is still channeling. Fixed tooltip to correctly show 2s. Fixed a bad interaction with Janus Portal. Fixed Madame Darkness targeter not staying attached to teammate. Fixed Nox’s shadow still showing when attached to stealthed teammate at Max/High Shadow settings. 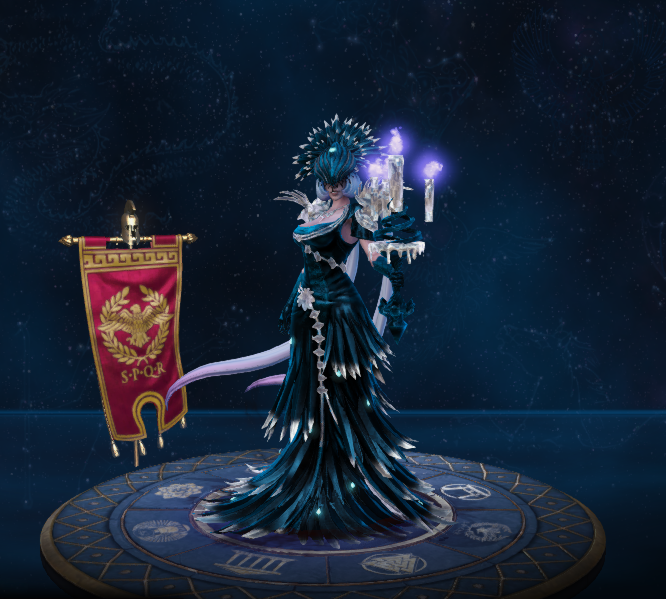 Nox has had a significant redesign this patch. Silence duration increased from 1/1.25/1.5/1.75/2s to 2s at all ranks. Nox is now CC Immune while casting this ability. Improved the visual FX for this ability. Updated tooltip to clearly state that cooldown reduction doesn't apply to this ability. Updated tooltip to clearly state what the bonus damage is, and when tethered targets use abilities. Updated tooltip from Ground Target to Line Attack. 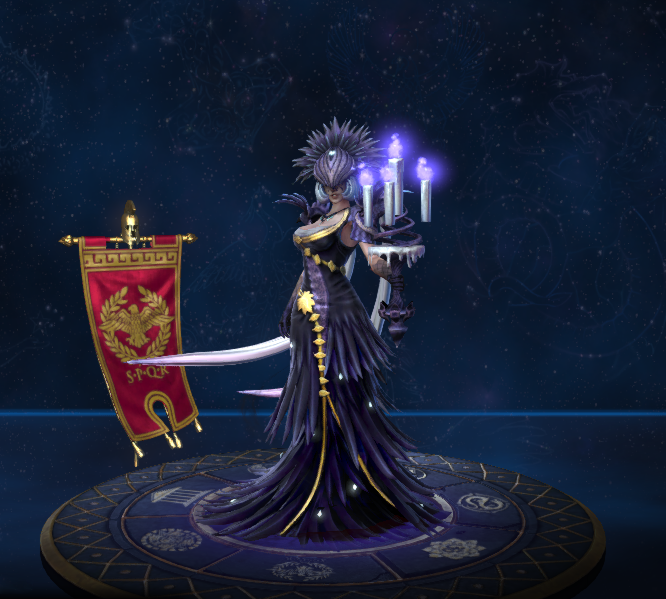 This ability has been changed: Nox's candles gather energy from all abilities she uses. For every ability Nox casts a candle is lit. For every candle lit Nox gains 4% damage mitigation. 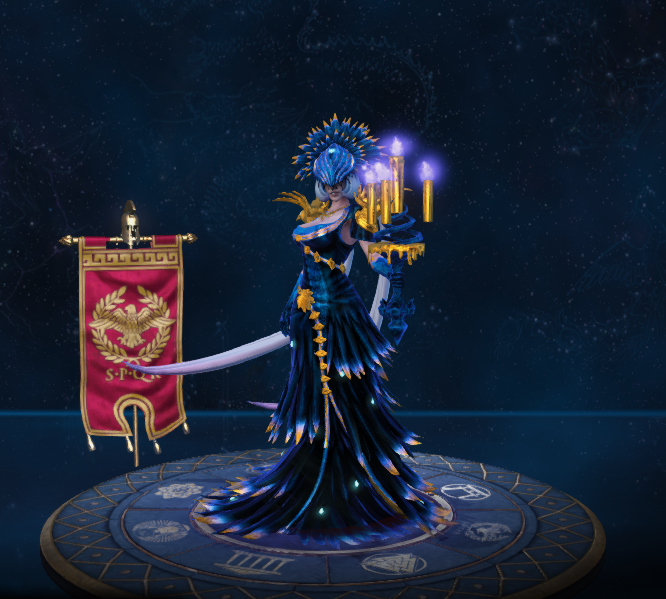 When Nox takes damage from an enemy god one of her candles are blown out. Damage reduction is now 80% at all ranks. Barrier duration increased from 1s to 2s. Damage reduced from 70/140/190/240/290 to 70/120/170/220/270. Silence duration increased from 1.0/1.1/1.2/1.3/1.4s to 1/1.25/1.5/1.75/2s. Damage reduced from 90/120/150/180/210 to 90/110/130/150/170. Mana changed from 50/55/60/65/70 to 50. Nox is no longer required to maintain a link to targets affected by Night Terrors. Targets remain affected regardless of range, for the duration. When Night Terror expires, targets are now stunned for 1s and take damage again. Increase projectile speed from 110 to 160. Increased range from 55 to 70. Base health increased from 380 to 400. Base health per level increased from 68 to 75. Now provides immune to knockups for the duration. Cooldown reduced from 20s to 18s. Damage changed from 80/90/100/110/120 to 70/140/190/240/290. Silence duration increased from 1s at all levels to 1/1.1/1.2/1.3/1.4s. Damage increased from 80/90/100/110/120 to 90/120/150/180/210. Magical scaling increased from 50% to 60%. The additional damage dealt to targets affected by Shroud of Darkness has been reduced from +100% to +50%. Increased scaling from 50% to 70%. Increased scaling from 40% to 50%. At max stacks, Nox gains 16% Damage mitigation. This ability's Damage Mitigation stacks with Nox's passive. This ability does not protect Nox from being killed by an ability that has an execute threshold.